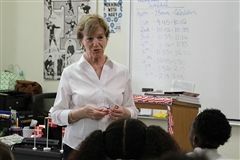 This year, Catholic Schools Week was celebrated from January 27-February 3rd and was sponsored by the Archdiocese of New Orleans. 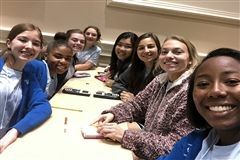 At the end of this special week, students attended Masses, open houses, and visited other schools to observe the values of Catholicism. Attendees were reminded of the values the Catholic education provides. 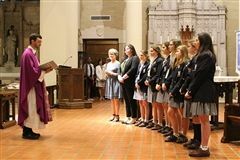 Ursuline Academy students attended Mass at St. Catherine of Siena, which was celebrated by Archbishop Aymond.